So on our recent trip to Korea, we took a night time stroll along the Cheonggyecheon stream, which was lit up beautifully with lights and decorations. There was a row of tents with shops, street food, and other attractions as well running along the stream for tourists' enjoyment. 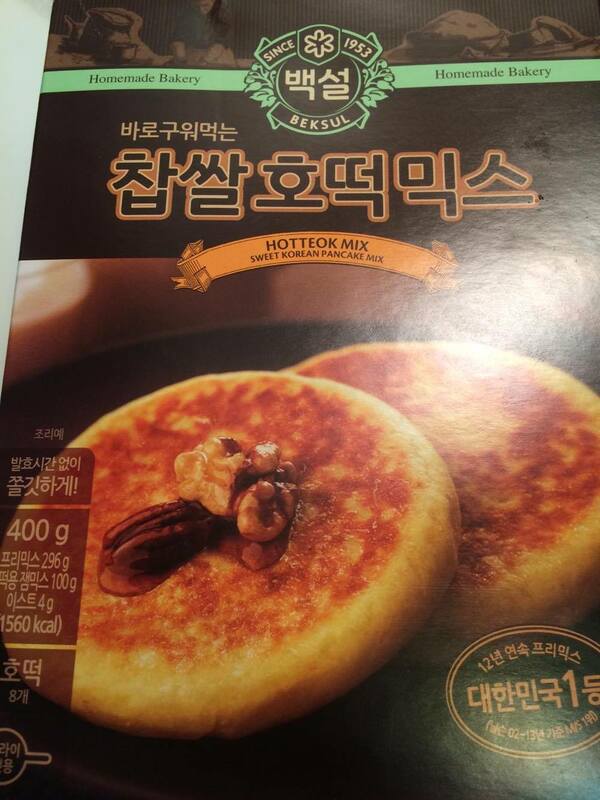 One of those tents sold a marvellously tasty treat which I've heard of called Hotteok (pronounced hod-dok) and when we visited a local grocery store later on, we found this box with a premade mix to make them! Score! So first issue I encountered is that the instructions are obviously all in Korean, except for a few choice words for some reason. Not a problem! 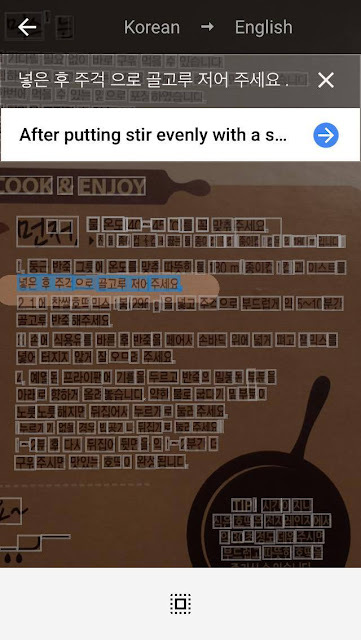 We have our handy dandy Google Translate App! After opening the app, select the language you are translating and then "English". Afterwards, click the camera button near the top with the camera button and this screen will pop up. 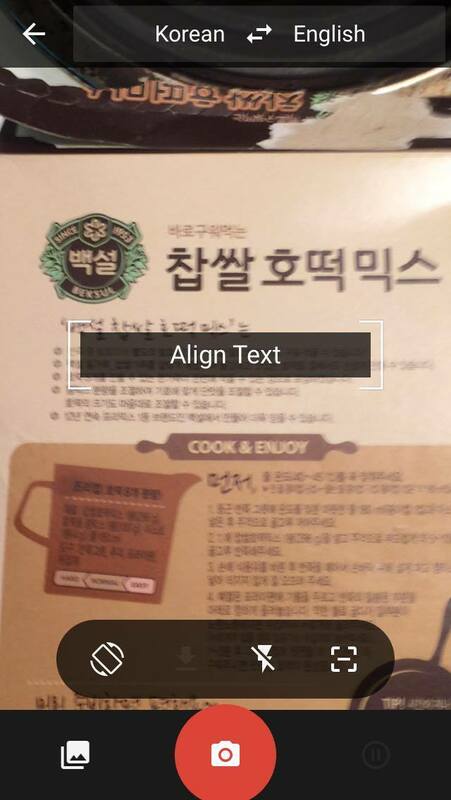 You line up the text you're translating in the box, focus, and take the picture. If all goes well it will say "Looking for Korean Text".. The next screen will select strings of words it found in Korean, and then you carefully swipe the lines you want to translate and the translation will show up top. These translations are never quite perfect and most of the time comes out really weird, but you can usually get the gist of it. 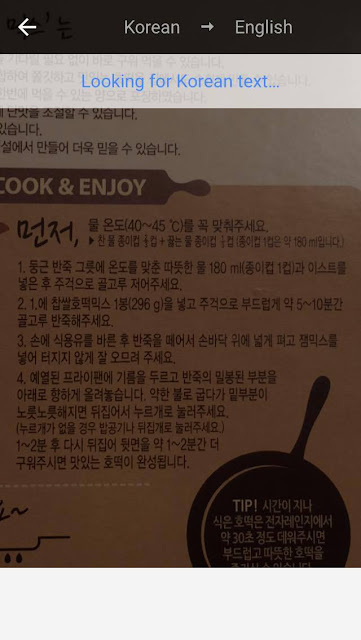 One time I was translating a hot pot seasoning package that was written in Chinese and it said "Put eight times water into the pot" which I generally took to mean 8 cups of water, and it turned out fine. 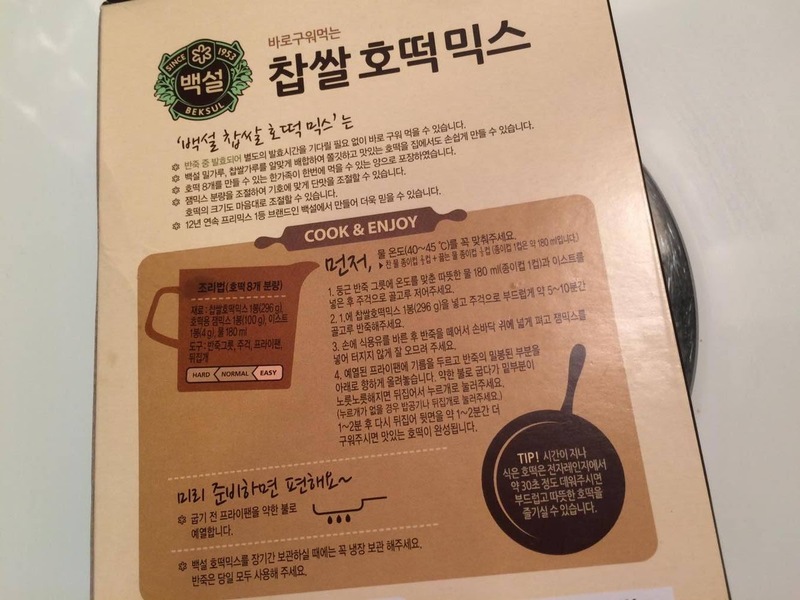 The box came with three packages: The Hotteok Mix and a packet of yeast, which I mixed as per instructions and let rise. 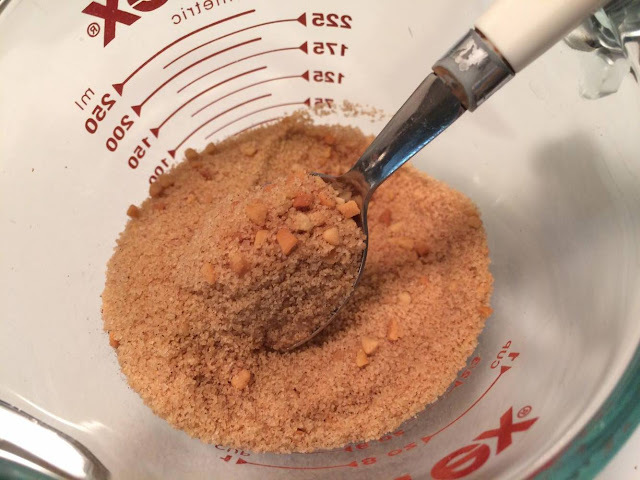 It also came with a packet of the sugar filling, which seemed to be sugar, cinnamon, and crushed peanuts. 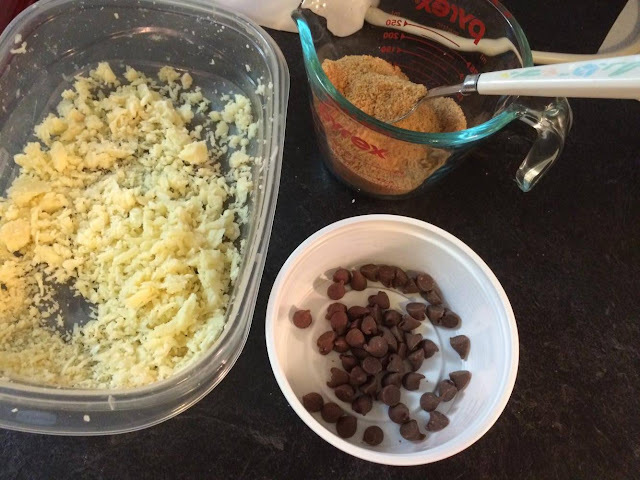 I also intended to experiment with two other fillings as well, which was shredded mozzarella cheese, and chocolate chips. 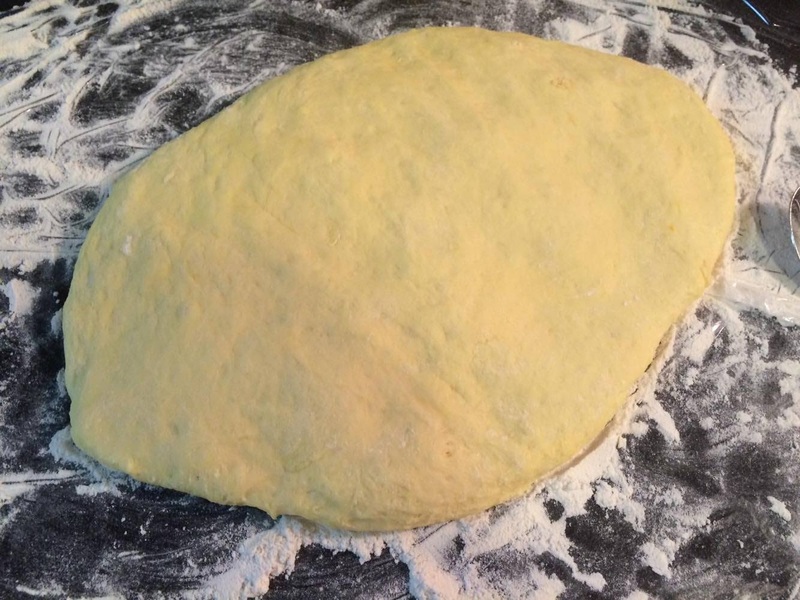 After the dough rose I divided it into 8 equal parts. By the way, see how the flour-covered surface looks kind of wrinkly and weird? That's a trick my mom taught me. She wets the counter lightly with water and lays down some plastic wrap, then dusts the surface with flour as usual. Cleanup is a breeze when you're done! 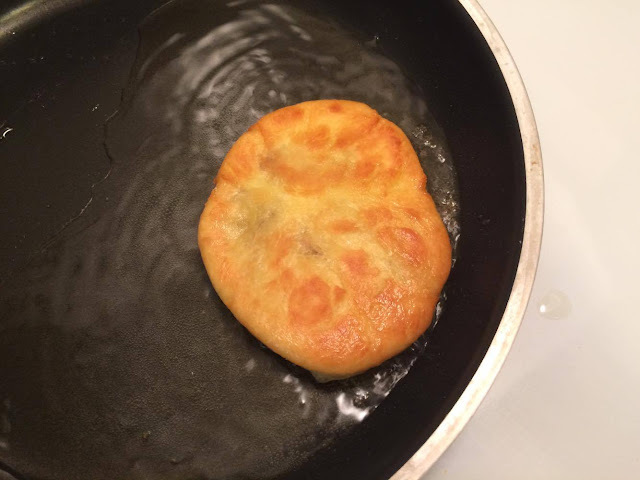 While I worked on the dough I let a small pan with some vegetable oil heat up on medium, then I flattened the dough balls into large circles, put the filling in, and carefully pinched the sides together into the centre to seal it in. Afterwards you place the sealed dough ball seam-side down into the oil and carefully flatten it with a spatula as far as it will go without ripping the seam of the sugar centre, then when the bottom side is golden brown you flip it over and fry the other side. This is the finished product. 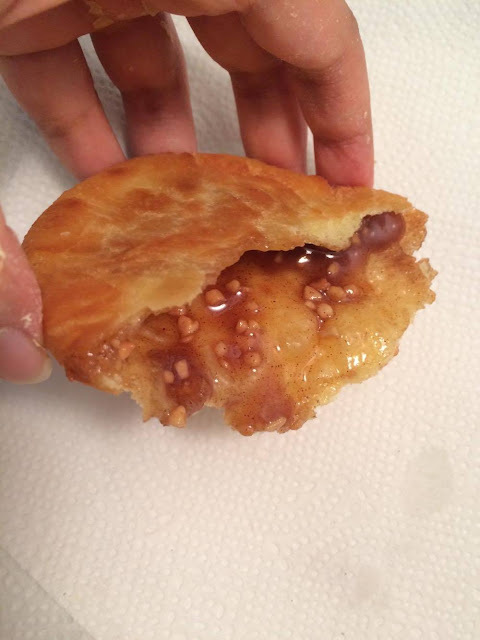 When you rip it open the sugar will have melted and it's a syrupy delicious treat. 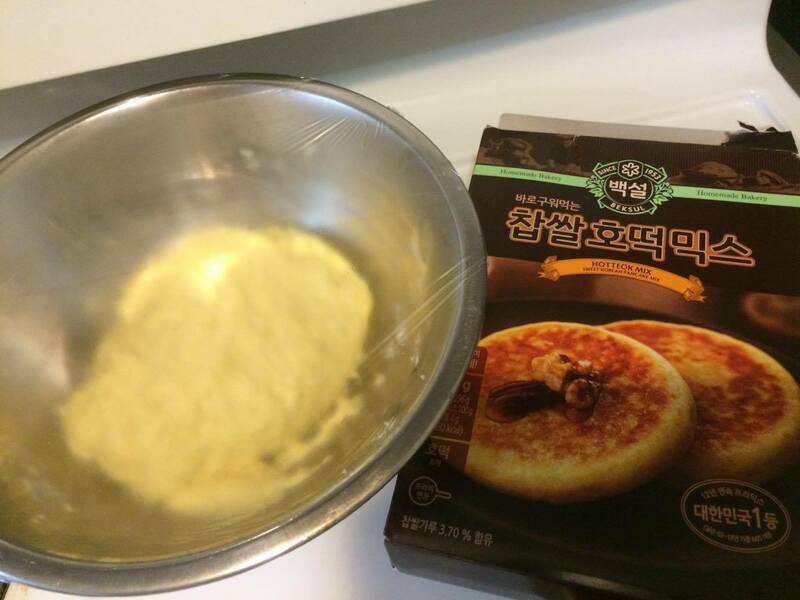 It turned out delicious and tasted just like the ones we had in Korea! The cheese one turned out pretty good too, but the chocolate chips one was a flop, since it cooked too fast for the chips to fully melt. The box also said that you could reheat these in the microwave to eat if you have leftovers. If you'd like to make these yourself, you're in luck! 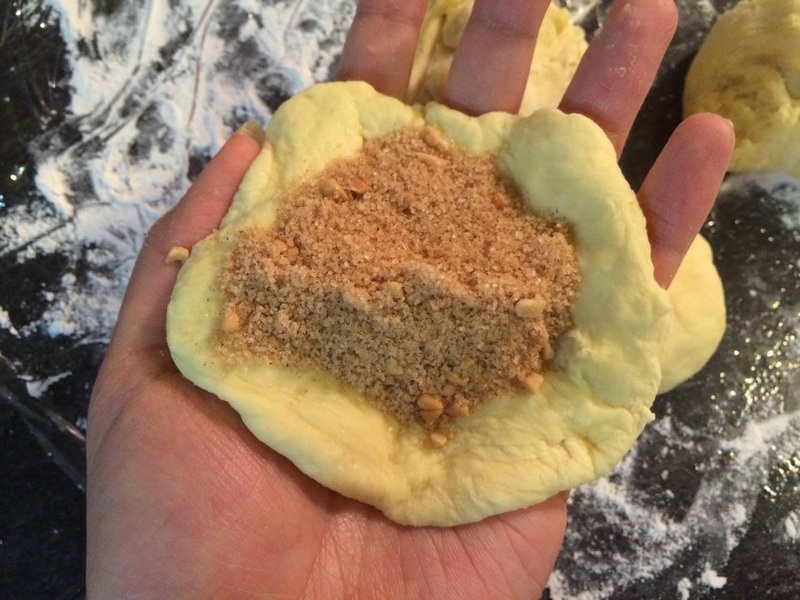 Maangchi has a great video and recipe to make these from scratch. Click here to see it. Dag Nabbit! You've reached the end of the article! No worries, check out more food posts from our World Trip here. Or be sure to Like our Facebook page to stay on top of travel tips and flight deals!